Amidst the exodus to front-wheel drive, BMW is successfully defending the classic concept of the engine up front and rear-wheel drive, which it has honed to technical perfection. 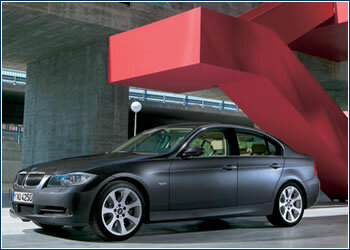 The new BMW 3 series sedans are the proof. 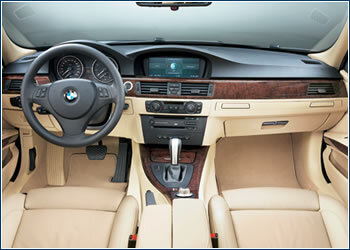 THE BASIS for BMW’s success is the combination of dynamic driving with a high degree of active safety and comfort. Crucial to this is the optimal distribution of weight on the front and rear wheels, as well as the excellent chassis, with its five-arm rear axle. All new 3 series models come with DSC (Dynamic Stability Control) and ABS anti-block brakes, as well as CBC (Cornering Brake Control), as standard equipment. On the Czech market CZK 841,500 gets you a BMW 320i sedan, powered by a 2.0-l, four-cylinder, 150 hp (110 kW) gasoline engine mated to a six-speed manual transmission. For fast yet economical driving there’s the BMW 320d for CZK 911,200, with a sports-tuned 2.0-l, 163 hp (120 kW) turbo-diesel with a top speed of 225 km/h and fuel consumption of just 5.7 liters per 100 km. Aficionados can choose between two gasoline-powered straight sixes. CZK 990,100 buys the BMW 325i, with a 2.5 liter, 218 hp (160 kW) engine, and the top of the line is the BMW 330i for CZK 1,114,000, whose six-cylinder, 3.0-l engine turns out 258 hp (190 kW) and catapults the car from 0 to 100 km/h in 6.3 seconds, while an electronic governor caps the top speed at 250 km/h.